Aircraft owners have one year remaining to upgrade their aircraft to a 406 MHz emergency locator transmitter (ELT) before the international COSPAS-SARSAT organization terminates the satellite-based monitoring of the current 121.5 MHz ELT frequency. The termination date is February 1, 2009. 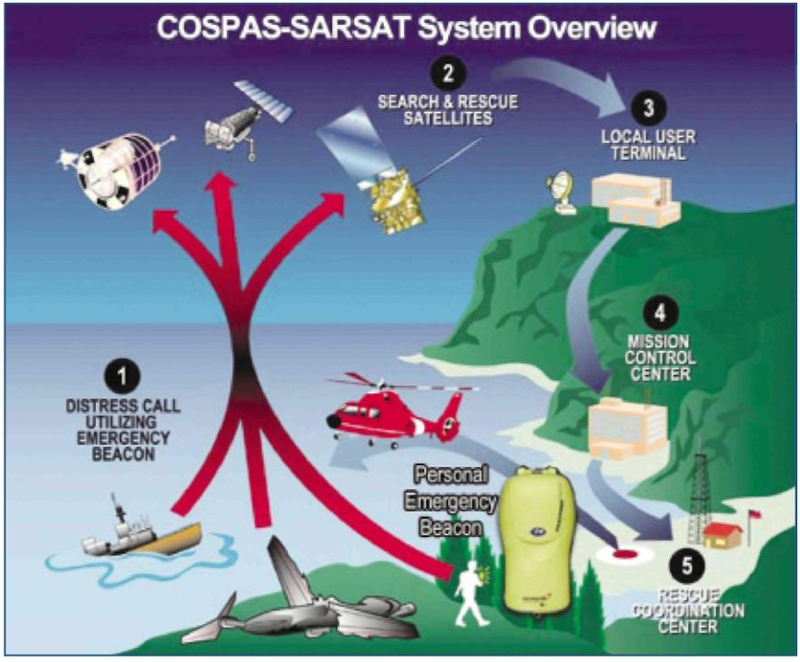 COSPAS-SARSAT will continue the space-based monitoring of the current 406 MHz emergency distress frequency. For those who don’t know, COSPAS is an acronym for the Russian words “Cosmicheskaya Sistyema Poiska Avariynich Sudov,” which mean “Space System for the Search of Vessels in Distress,” indicative of the maritime origins of this distress alerting system. SARSAT is the U.S. acronym for Search and Rescue Satellite-Aided Tracking. Aircraft owners with 121.5 MHz ELTs installed in their aircraft, who decide not to upgrade to the newer 406 MHz ELT, will have to depend upon over-flying aircraft, nearby air traffic facilities, or nearby airports that may be monitoring the 121.5 MHz frequency to alert authorities in the event of an aircraft accident. This means some accident aircraft with activated 121.5 MHz ELTs may go undetected for hours or days until authorities are notified of a missing aircraft by other means. These means may include unclosed flight plans or concerned family members or a fixed-based operator with a missing aircraft. is terminating the monitoring of the 121.5 MHz frequency because of the number of false alerts on the frequency and the lack of a viable means to rapidly confirm the status of an alert. Located in the aeronautical communication band, 121.5 MHz frequency was not designed to be a satellite emergency distress frequency. Whereas the 406 MHz frequency is a dedicated and protected international emergency distress frequency. Not only is 406 MHz a protected frequency, but this distress frequency can be encoded with a unique identifier code that search and rescue organizations can use to identify and contact the registered owner of a 406 MHz distress beacon to verify the status of the alert. In the case of a 406 MHz alert, a telephone call may be all that is necessary to verify the status of a 406 MHz alert and, if it is a false alert, to ask someone to turn it off. If not a false alert, this identification and notification capability also can speed up the search response. In the case of a 121.5 MHz alert, someone must physically track down the device and turn it off in the case of a false alert. Because approximately 95 to 98 percent of 121.5 MHz distress alerts are false, a lot of resources are used in tracking down and deactivating these false alerts. In terms of rescue, because of the verification capability of the encoded 406 MHz beacons, search and rescue (SAR) forces can respond to a 406 MHz distress alert in time measured in minutes or tens of minutes rather than the many hours that may be required to verify a 121.5 MHz alert and respond. Some 406 MHz distress beacons have a built-in global positioning system (GPS) capability that can be used to encode the beacon’s location so that SAR forces can more rapidly respond to a rescue event. Other 406 MHz beacons can be encoded with location information provided by onboard navigation equipment. Although all current distress beacons can be roughly located through the use of Doppler technology, this is only a rough position. However, being able to pinpoint an alert to within a few yards rather than miles through the use of a position encoded 406 MHz that is broadcasting its longitude and latitude information can virtually take the search out of search and rescue. So, if you want the protection that a 406 MHz ELT can provide, you have a year to schedule its installation before the countdown runs down. For more information about the COSPAS-SARSAT system and the United State’s role in the system, you can check the National Oceanic and Atmospheric Administration’s (NOAA) Internet Web site at http://www.sarsat.noaa.gov. Remember, to meet the regulatory requirement for an ELT installation in an aircraft, the ELT has to meet the appropriate technical standard order (TSO). Although a TSO’d 121.5 MHz or a 406 MHz ELT meets the requirement for installation in an aircraft (14 Code of Federal Regulations §91.207), aircraft owners may want to think about replacing their 121.5 MHz ELTs with the newer, more powerful 406 MHz ELT. For those aircraft owners adamant about not updating their 121.5 MHz ELT, there is a means of having some, but not all of the benefits of a 406 MHz ELT without buying a 406 MHz ELT. 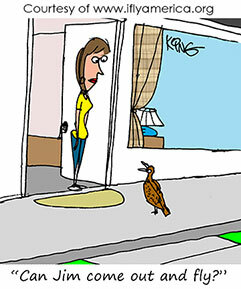 That option is purchasing and carrying a 406 MHz Personal Locator Beacon (PLB), especially one with a built-in GPS. The disadvantage of a PLB, and why it does not meet the regulatory requirement for carriage in an aircraft, is because it is not self-activating. It will not automatically activate in the event of a crash. In fact, because these are designed to be carried and handled by people, such as hikers and others in various types of outdoor activities, PLBs require a deliberate activation process. For example, one type requires the antenna to be unfolded and extended, a protective cover lid to be lifted, and two buttons to be simultaneously pushed to activate the device. In the case of an aircraft crash, if the PLB is not within reach and if you can’t physically follow all of the steps required activating the PLB, it will not be activated. However, with this limitation, a PLB, like a cellular telephone and an aviation band transceiver, can provide a backup means of alerting SAR of an accident. It is not the best means, but for someone adamant about not upgrading to a 406 MHz ELT, it is an option. Of course, the best option is to add a 406 MHz ELT to your aircraft along with your current 121.5 MHz ELT and add a PLB to your survival kit as a handheld backup in case both your ELTs get damaged in the accident. In the case of an emergency water landing, where your aircraft sinks, a PLB in your coat pocket may be your only means of alerting SAR of the ditching. Just remember if you install a new 406 MHz ELT in your aircraft and keep your old 121.5 MHz ELT installed in the aircraft, you must inspect and maintain both in accordance with the regulations. The countdown has started; you have a year to decide what you are going to do.